We all know how important it is to purchase from a Certified Diamond Dealer right? If not, just check out some of the videos made by other collectors on the subject by clicking here. Along those lines, if you are making online purchases, you need to make sure you are working through an Authorized Internet Retailer. You’ll know if you are if you see this logo on their website. If you don’t see that logo, Upper Deck will not be able to assist you if there are issues with the product you purchase through them. Purchase Upper Deck products with confidence online if you see this logo! We love to spotlight shops that are doing the right things that collectors should check out. And that is the case with Dave & Adam’s Card World. I have known Dave Silver and Adam Martin for over ten years and it is hard for anyone to match their level of commitment to their customers and to this hobby. They are a bit of an odd couple in that Adam is very outgoing and Dave is quiet, but Dave will drop in a couple great zingers from time to time to keep Adam in check. Their differences work for them however and they have enjoyed a prosperous business relationship since the pair met at a card show in New York in 1988. They are both very hard workers and they have successfully grown their business to several retail locations. They have a tremendous online presence as well. And coming August 11-14, 2011, they are planning on giving back to their customers by bringing in some of the biggest names in hockey. If you are in the western New York area or just enjoy shopping online, make sure you check them out! One of the things they really focus on is carrying wax that others do not and they have a 35,000 square foot custom warehouse that holds their huge inventory of over 250,000 unopened trading card boxes. 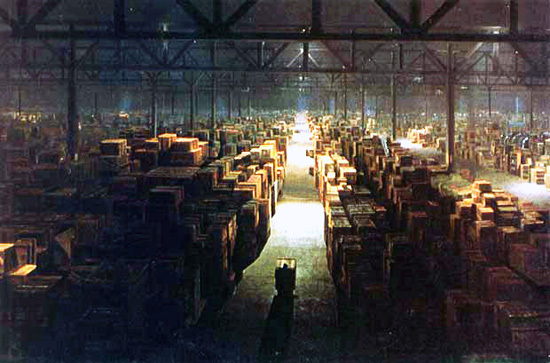 Walking through their warehouse is reminiscent to being in the warehouse at the end of the movie Raiders of the Lost Ark. No, they don't have quite this much warehouse space for their sealed wax, but it is close! Besides having a huge inventory, this dynamic duo love to bring their customers closer to their heroes. Dave & Adam frequently bring in some top athletes to sign in their stores for fans. 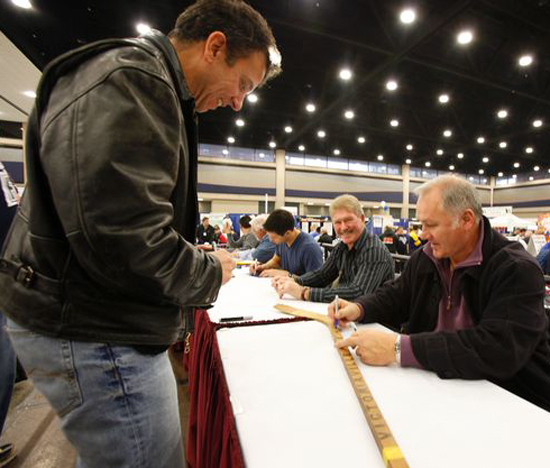 And in two weeks, Upper Deck is pleased to partner with Dave & Adam’s Card World on at the company’s first annual “Hockey Fest” where they will be bringing in a different autograph signer each day at all four of their retail locations. It is a hockey event that will bring some of the biggest names in the game to the upstate New York area. On Thursday, August 11 you can catch Gordie Howe at the Tonawanda store. Stop by the Williamsville store on Friday, August 12 to get a chance to meet Tony Esposito. Make it out to the Orchard Park location on Saturday, August 13 to visit with Steven Stamkos. And you can cross paths with Gilbert Perreault on Sunday, August 14 at their newest store in Niagara Falls. They will have a variety of specials and fun giveaways at each location throughout the “Hockey Fest” celebration weekend. Get your tickets and check out more details by clicking here. 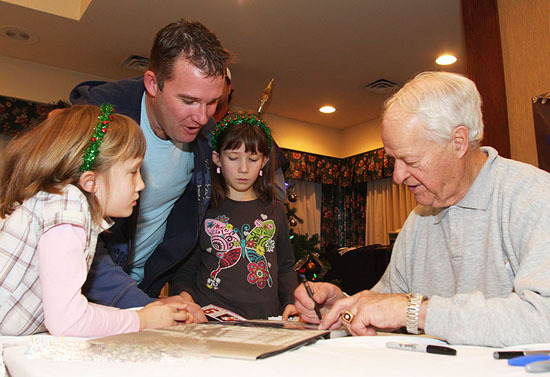 You can tell your wife you are taking the kids to meet Gordie Howe, but we know that it is really you who wants to meet Mr. Hockey. 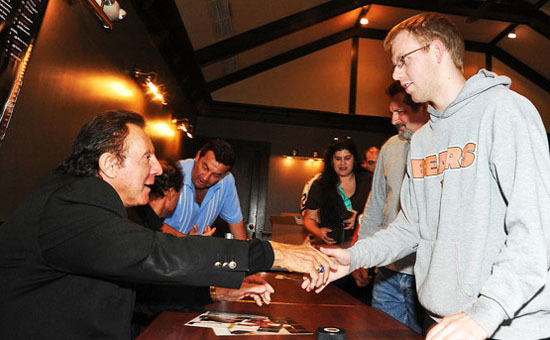 Tony Esposito is one of the nicest former players you can ever cross paths with. He is a true gentleman. 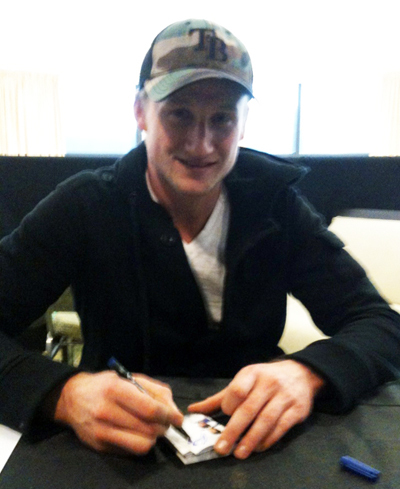 Get your tickets to get autographs from HUGE NHL stars like Steven Stamkos appearing at Dave & Adam's "Hockey Fest!" It's not every day you get to meet Hall-of-Famer Gilbert Perreault. Don't miss your chance! Get to Dave & Adam's "Hockey Fest!"